Welcome to 1st Church! If you're visiting with us today, please fill out a Connection Card (grey), found in the pew pocket in front of you, and place it in the offering plate at the end of the service. If you have a need that you'd like us to pray about, please fill out a Prayer Card, which can also be found in the pew pocket in front of you. Blessings to you!!! 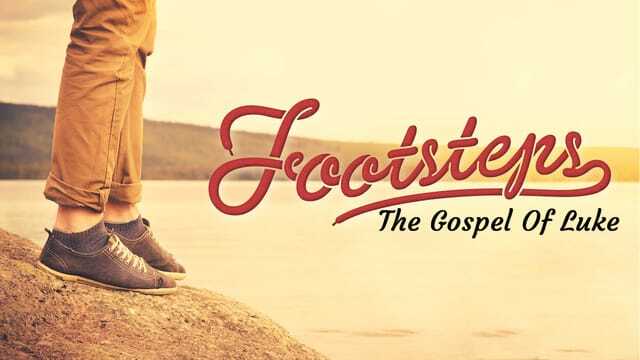 Friend Of Sinners : Week 8 of "Footsteps : The Gospel Of Luke"
You can know the value of something by how hard you search for it when it’s lost… and how great the celebration is when it’s found. On The Inside... The "Unworthy" crowd of the day. God rejoices when a sinner repents. God moves towards the repentant one with great haste and with great joy because they have turned to him. Repentance leads to forgiveness and grace. The tragedy of the older son is that he is so self-righteous, he’s mad that his little brother is receiving grace. He wants the grace that his brother is receiving, yet he is unwilling to humble himself and repent. How Are You Engaging With Lost People? God Loves You! Turn to Him in humility & repentance... You'll find forgiveness & grace!